Happy Friday everyone!! We made it :-) I don't know what I like better, the anticipation that oozes from every bone for the weekend, or the relief when the weekend is finally here! Well, what better way to end the week than with denim on denim. 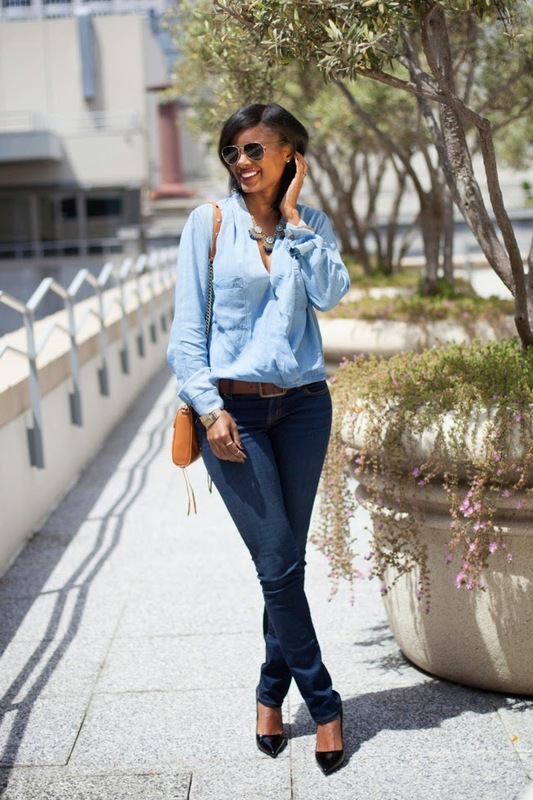 I'll be the first one to agree that one can never have too many chambray tops...but this Sam & Lavi draped denim popover shirt is my new fav denim top! Move over ordinary button up chambrays! Not quite sure if it's the loose blousy fit or the high low effect from from to back. Or that it gives an illusion of a wrap top. 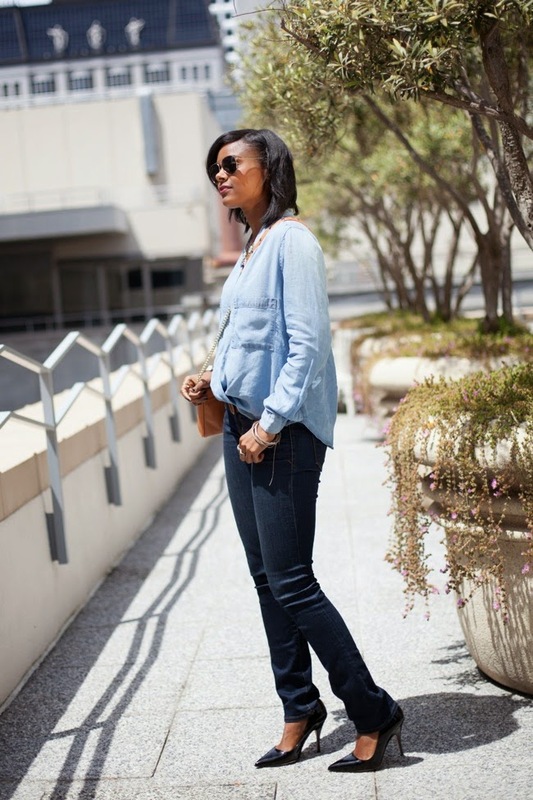 Whatever it is, all variables make for a super simple yet chic chambray top. And the icing on the cake...it's on sale at Anthro! This Friday I've got a pretty special collaboration going with a few fellow bloggers called, Fab Favorites Link up! 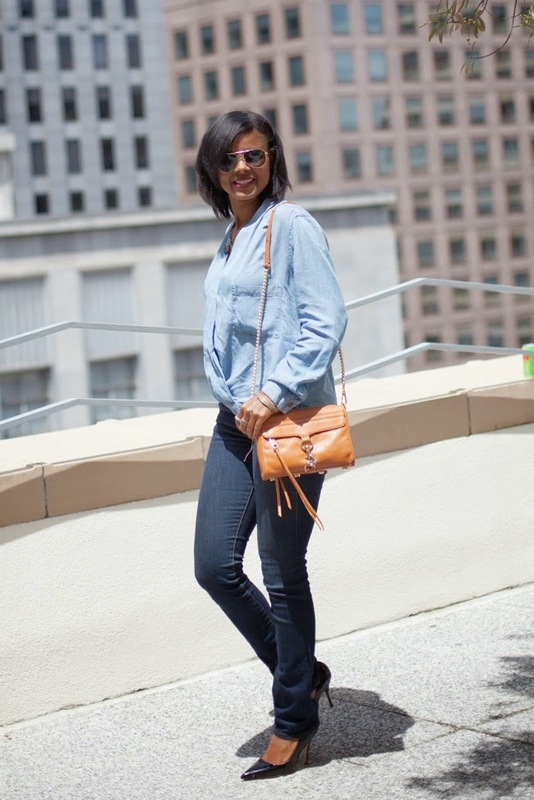 It's a great way to link your blog and meet other fashion bloggers! I love exploring other styles around the globe...so please feel free and join our Fab Favorites Link UP!! 1. 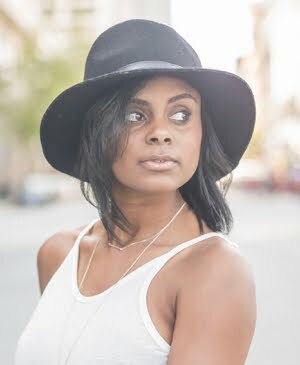 Please follow your Host Style Elixir (via Bloglovin' or Instagram) and your fabulous Co-Hosts... Conni from Art in the Find (follow via Bloglovin') Raina from The Embellished Closet (follow via Bloglovin') 2. Link up anything... it could be one of your previous posts that you like, or a post about your favorite things! 3. Please include a link back to this post within your post (because it's such a nice thing to do!) 4. Now simply add your link below! We hope you all enjoy meeting other bloggers and discovering some new things. 5. If you would like to Co-Host Friday's Fab Favorites, email stylelixir@gmail.com for more details! Hi there! Found your blog through the linkup and followed you on Bloglovin! I am a new blogger as well. 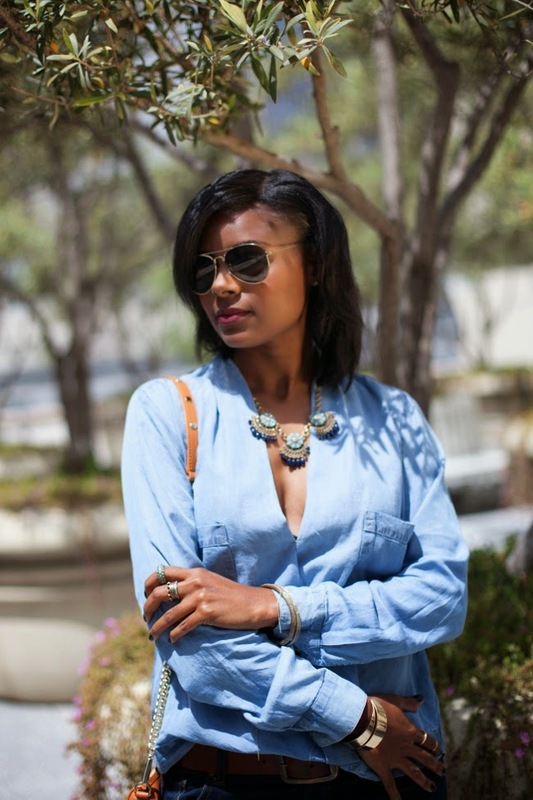 I am still on the search for a chambray top, and yes, yours does look like a wrap top! :) I love the color. I hope you can check out my blog when you have a chance! Thanks! Thanks so much Cheresa!! I appreciate you stopping by! Will be happy to check you out too! 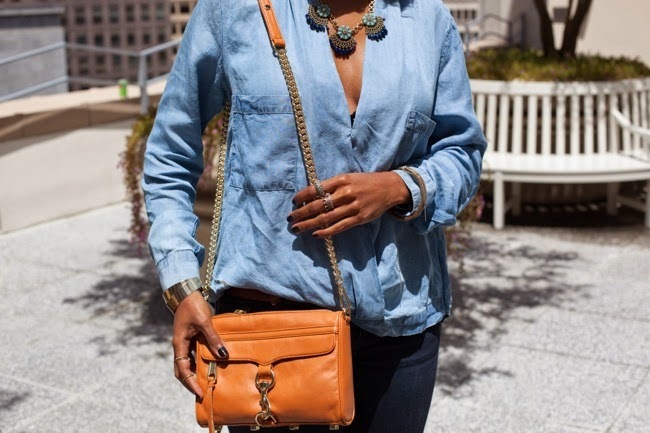 i love the style of this chambray top , its different from the chambray top i owned and you pull of this minimalist look. If you got a chance, join in an amazing skincare giveaway on my blog http://fashionrealm.blogspot.com..... thank you and oh im your new follower on bloglovin...have a pleasant monday !